Smart Communications has announced its unbeatable plans for the much anticipated iPhone 6s and iPhone 6s Plus, the most advanced iPhones ever, with super-sized data offers and awesome perks aimed at giving you the Smart Life experience. 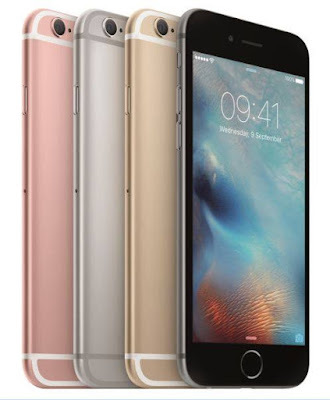 As a special offer from November 6 until December 31, you can get the iPhone 6s FREE on Plan 2000 under a 30-month contract, inclusive of a super-sized 10GB data allowance for all your videos, music and games; plus All-Month Surf, which gives you access to all your favorite websites and apps like Instagram, Facebook and Twitter, and chat apps like Viber, Whatsapp, Line and Messenger, among many others, throughout the 30-month period. As part of the limited offer, you can also get the iPhone 6s Plus FREE on Plan 2499 under a 30-month term, inclusive of super-sized 15GB data allowance and All-Month Surf which you can enjoy throughout the duration of the contract. The latest iPhones will also be available via Smart Infinity, Smart’s premium postpaid brand, where members can get complimentary iPhone 6s 128GB under Infinity Consumable Plan 5000 or two units of iPhone 6S 16GB under Consumable LTE Plan 8000. The breakthrough features of the iPhone 6s and 6s Plus can only be optimized when you are on the country’s biggest and most advanced network, according Kathy Carag, Smart Postpaid Head. The iPhone 6s and iPhone 6s Plus will be available in all Smart Stores nationwide.